I've never really been into eye creams and have only started applying it every day at the start of this month. This turn around is because of this eye serum from Barefoot. Firstly the packaging and the thin nozzle makes it so easy to get just the right amount of product. A little goes a long way so you only need a tiny, tiny amount. I was particularly drawn to this eye cream because it's described as a serum. I don't want a thick eye cream like say Kiehl's Creamy Eye Treatment with avocado, so a serum which is thinner and lighter on the skin but still has all the great moisturising properties is perfect for me. 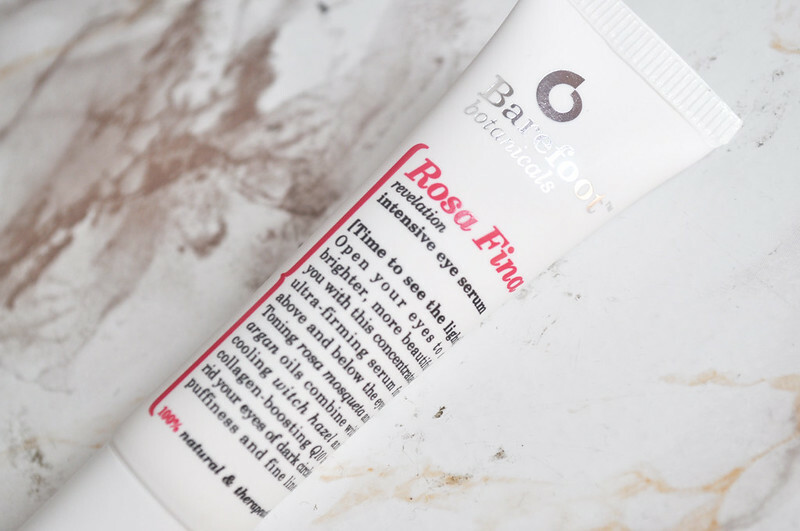 It glides onto the skin and sinks in almost immediately leaving the under eye area feeling very soft. It makes a great base for concealer because of this. As I'm only 22 I'm not really concerned with the anti-aging properties or reducing any fine lines, I just want something that's hydrating. I do like that it reduces puffiness though which I can get when I wake up especially if my hay fever is bad that day. It doesn't particularly have a rose scent, more of a natural herbal scent which I really like. It isn't too strong though and once it sinks in you can't smell it. 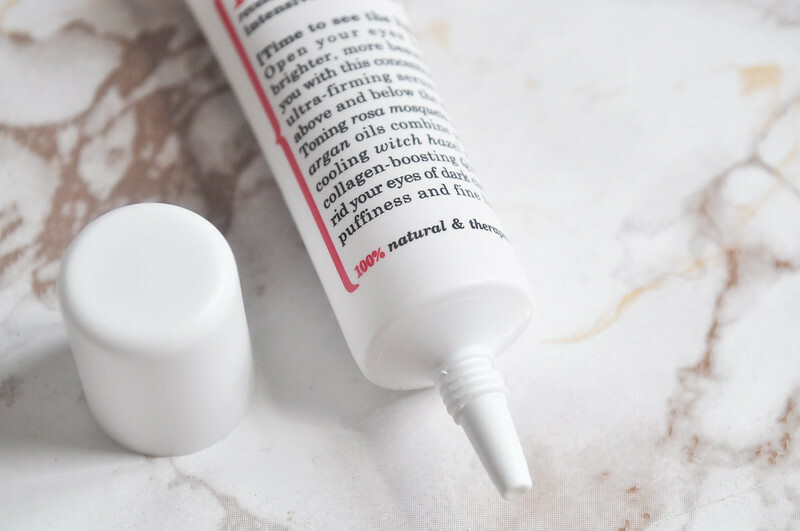 If you've been looking for a thinner eye cream definitely give this a go. It's become a firm favourite in my skin care routine.